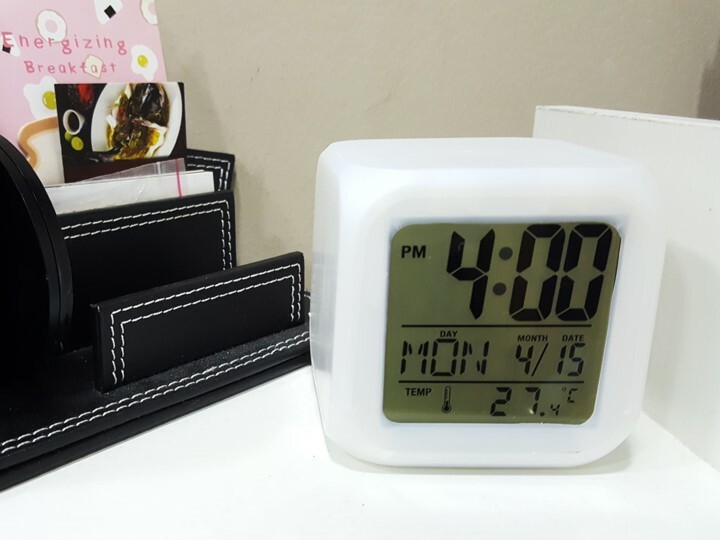 Simple yet Modern design fit for most people's tastes. 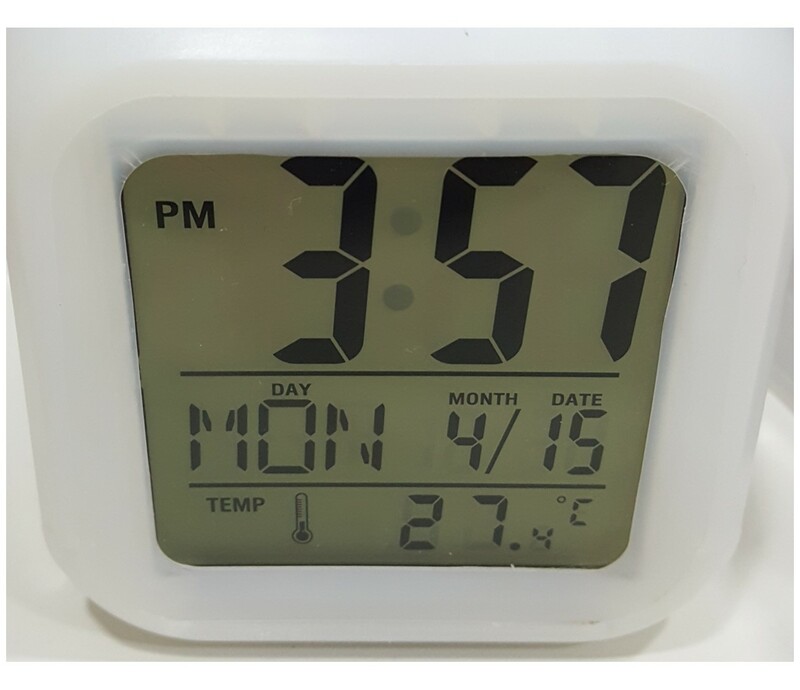 Clear, visible and easy to view fonts for day or night view. 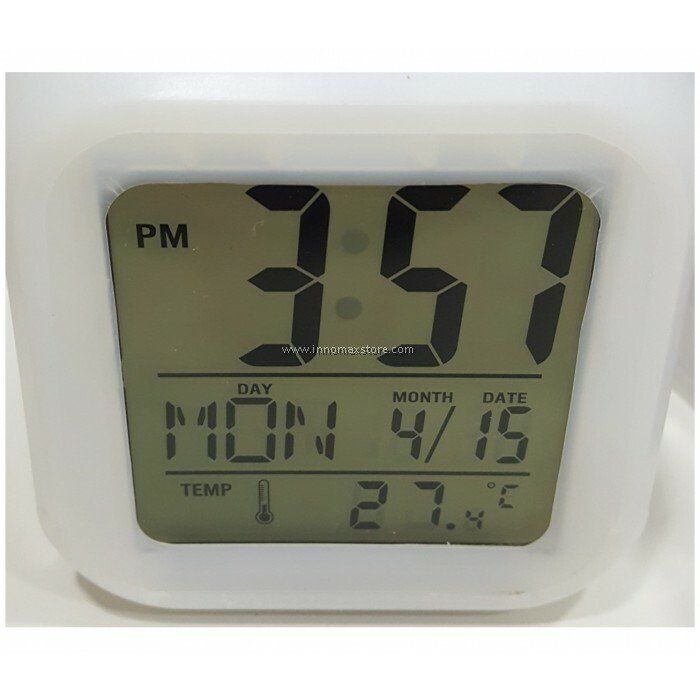 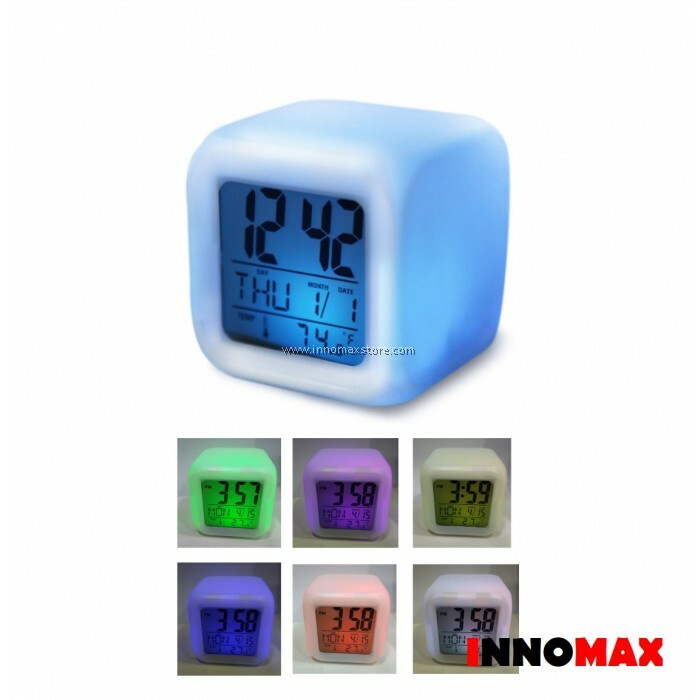 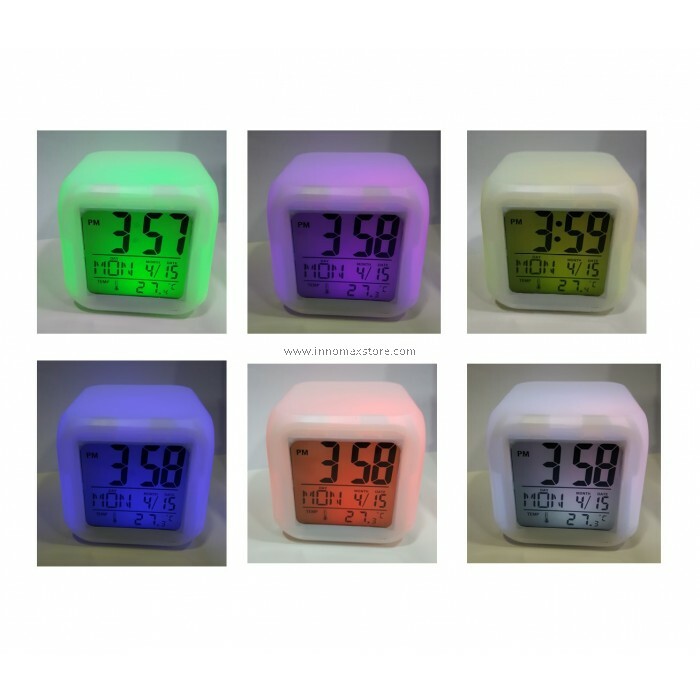 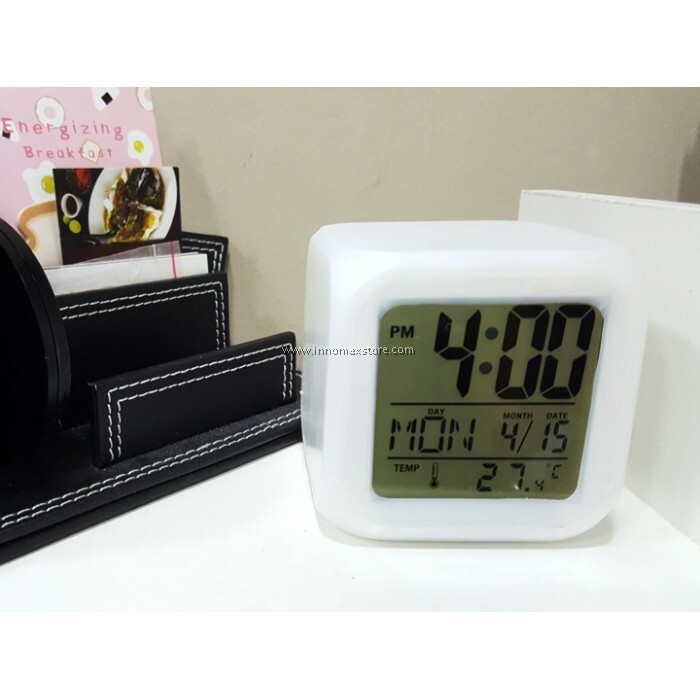 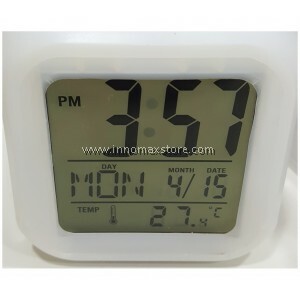 Displays Time, Day, Month, Date, Alarm and Room Temperature. It is Digital Display so it is silent (no sound) and will not disturb sleep / study / work. 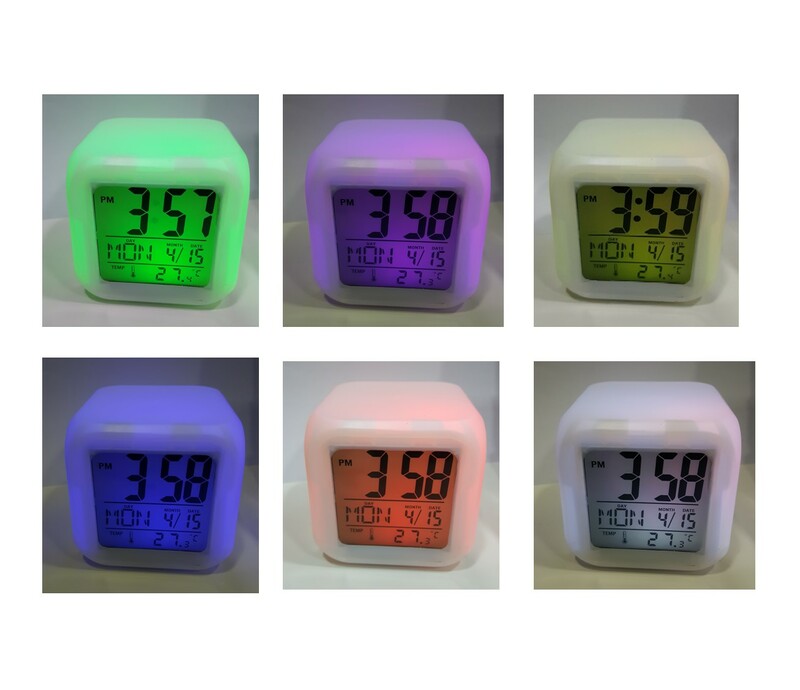 Press to have rotational colour. Suitable For : Bedroom, Study Table, Living Room, Office Table, Game Room. 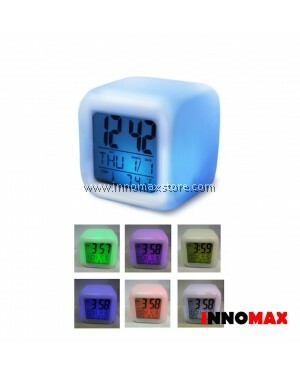 Package Includes : Alarm clock x1.